This auto shop is located at the edge of Oak Lawn on Cicero Avenue and 111th Street. 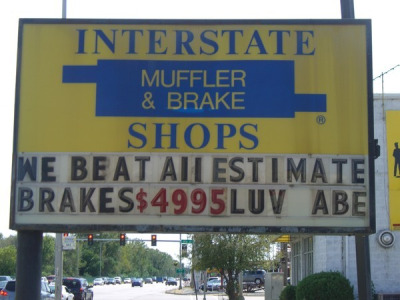 Interstate offers free inspections and specializes in performance maintenance, brakes, and muffler care. RVs, limousines, and trucks can also be serviced at this full auto service shop.